About 8 Km from the downtown in Kampung Baru Ilir countrysides, Asrama Hill area there is an omission cannon of Japan army. 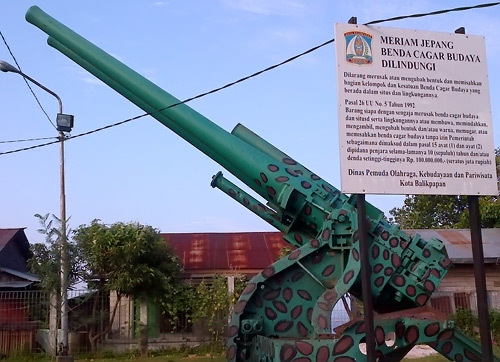 The position of this cannon indicates that Balikpapan is strategic defense place. From a place of 2500 m2 width we can see Balikpapan City, refinery and Balikpapan bay. This location can reach using city transport No 5 and No 6.